When Mike Singleton passed away last October, he left behind an enviable list of games he created in the last three decades. 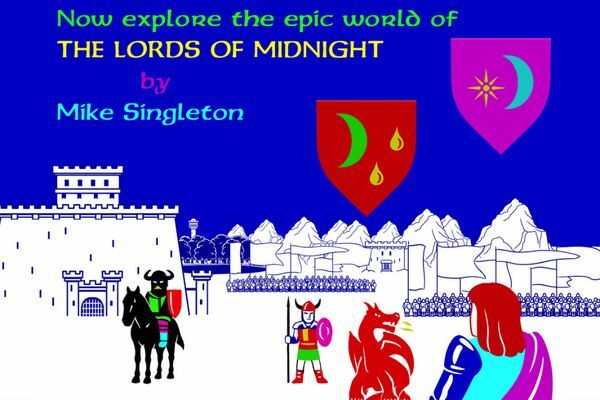 But if there was one title that will always be mentioned first and foremost, it is the 1984 Spectrum legend that is Lords of Midnight. Chilli Hugger Software ported Lords of Midnight to iPhone, Android, Blackberry late last year, and this week to commemorate what would have been Singleton’s 62nd birthday are temporarily halving the price of the title. It may be impossible to recreate the amazement of the original release; long gone are the days of loading games over ten minutes from cassette, thinking 128k of memory was amazing, and considering several colours on screen without flickering as technical prowess. When Lords of Midnight was released, the scope of the game dwarfed pretty much everything that had come before… and probably everything that followed for many years with the exception of its own sequel, Doomdark’s Revenge. The game presented a world with 4,000 locations, two different winning conditions, flick scrolling, and… well, scope. There was a lot to do. It pushed boundaries on release, and while now 29 years later it should now seem a relic of the past, the ported versions have in fact been received very well. Singleton was collaborating with Chris Wild (of Chilli Hugger) during the development of last year’s release, with Wild writing of his sadness when Singleton died, making the move to cut the price seem less of an opportunity to market the game and more one of wanting the title played by a wider audience. And certainly, if you want to play a legend in gaming’s history then Lords of Midnight is a good place to go. Lords of Midnight is available now; the usual price is UK£2.99, US$4.99, or €4.49 but is half of that for this week.